Peek-a-Boo! 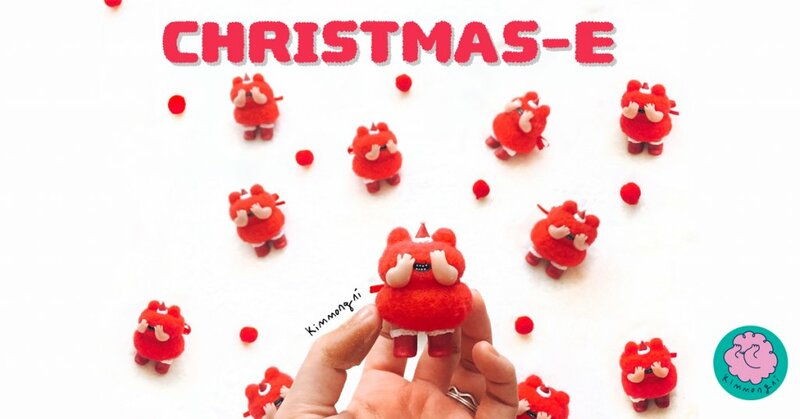 South Korean Kimmongni gives us all some cuteness, Festive season or not Kimmongni’s Fluffy MYSTERY_E Bears come in all different shades and styles but all have her signature mouths. Kimmongni mixes resin and fluff to bring you bundles of joy a style that we don’t see very often. Minimalistic and whimsical all rolled into one. Now with Christmas in a couple of weeks, Kimmongni is offering you the chance to own a few Christmas themed releases. People think they are shy guys. No one really knows. They may be laughing, crying, or even angry. All handmade, detailed size is slightly different. 3. include your PayPal ID with your address and contact information. Heres a few more MYSTERY_E Bears’s from Kimmongni.